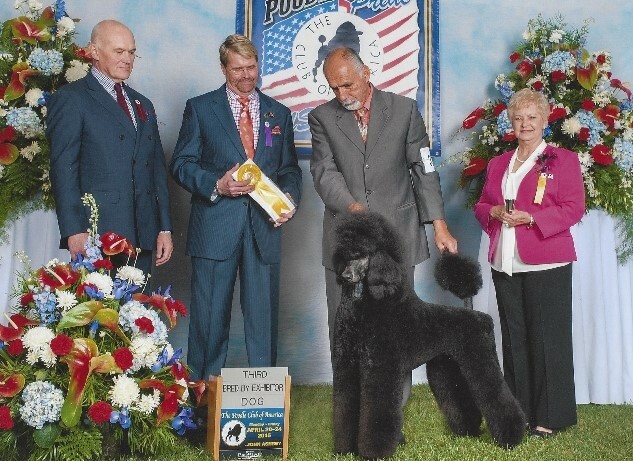 LCM Nakias' Hidden Treasure, AKC # PR17299702, Nakia is one of the fourth generation of our Standard Poodle female line. 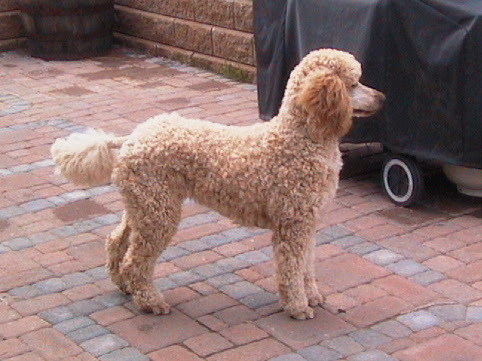 She was chosen as the pick of her litter because of her winning combination of temperment and beauty. She's an excellent mother both in how she produces consistently excellent pups and in how she cares for them. She has an outgoing personality that caught our attention right away and is super sweet and friendly. 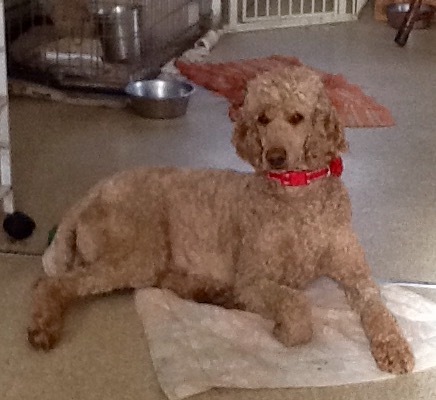 She has good hip and normal eye, thyroid and sebaceous adenitus clearances on file with the OFA. To see the dam and sire and for more pictures and stories, see Nakia's page. 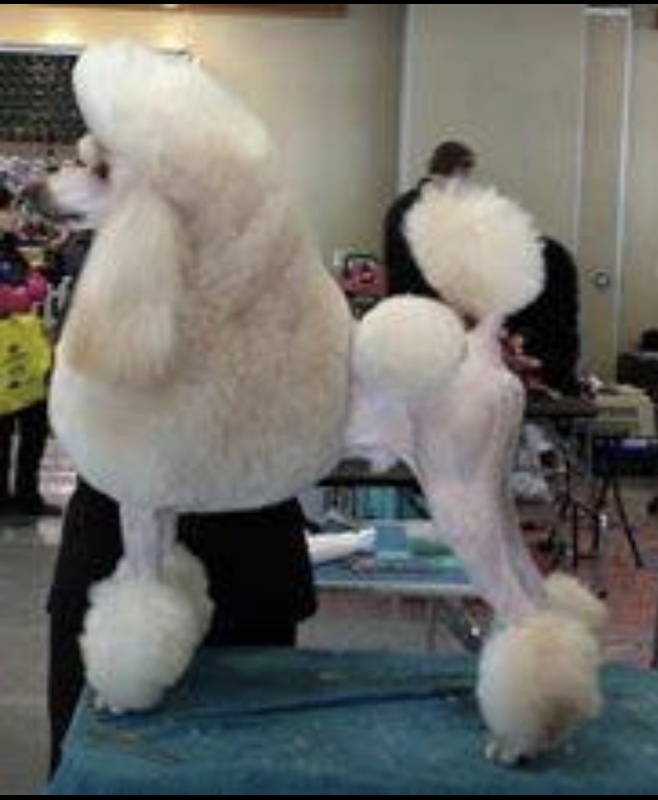 LCM Lumiere It's All About Amber AKC # PR14752202, Amber has proven herself as an outstanding dam. Producing puppies that have wonderful temperament and excellent type. We have continued improving our breeding program keeping two of her puppies, Nakia and Raggs. She has health clearances and is clear of any problems with eye, hip, thyroid, SA, NE and is vWD clear through parentage. We are planning on a breeding for Lukas and Nakia in April 2019.